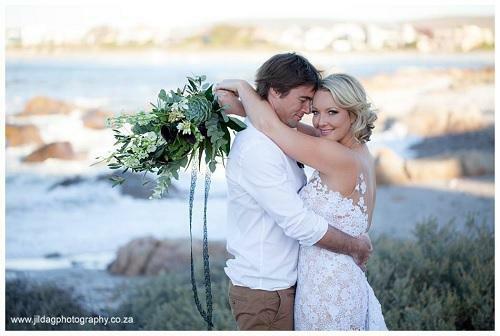 "What a beautiful, relaxed and romantic beach wedding at Seatrader. The west coast is a very special place to Lauren and Dale so Seatrader could not have been a more perfect setting. Jade Events did a spectacular job decorating the venue and setting up the ceremony right on the beach. My favourite part of the wedding day is witnessing the groom seeing his soon to be wife walking down the aisle towards him. Lauren, barefoot and beautiful in her stunning Robyn Roberts creation was no exception. What a beautiful wedding filled with love and laughter. Thank you Lauren and Dale for letting me capture your day, it was amazing."